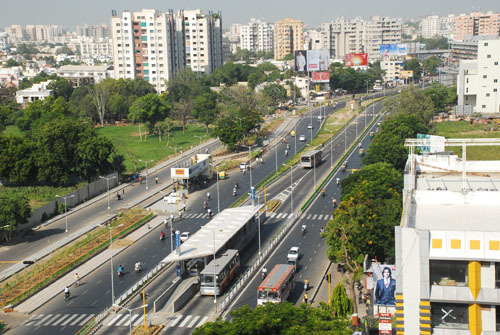 AHMEDABAD: The great Gujarati joint family is urging topend realty. Amid buzz of stagnancy in city’s property market, super luxury apartments are selling like hot cakes. Realtors may struggle to sell 2 and 3 BHK homes, but buyers, mostly large joint families, are lining up to book 5 and 6BHK flats. In large flats of 5-6BHK flats, old people of the families feel more comfortable rather in bunglows. Take the case of ISCON group, which recently launched a residential scheme along SP Ring Road. While the entry-level three BHK flats generated least inquiries, all the top-end 5 BHK units were booked within days. “Those who could not get five BHK are going for 4 BHK units,” according to a survey. Looking at the response, Kotak now plans to convert 1 tower originally planned for entry-level flats into premium flats. Experts say the trend is inspiring as demand has been coming not only from NRIs and investors, also from local buyers who find Ahmedabad cheaper than other large Indian cities. “Moreover these flats offer security along with luxury. Further, people who have stayed in 3-4 BHK and looking to upgrade are driving the demand for premium flats. So, no wonder 5-6 BHK apartments are being booked up like hot cakes,” says regional director (Gujarat) of real estate consultants. “A city based Businessman says that they sold off their bungalow and opted for a 5 bedroom flat because of security. He stays in that flat with his two sons. Ashish Shah of Shree Balaji Group got enormous response for the 5,100 sqft top-end flats as compared to other categories. Now, Shah plans to hold the remaining 6 BHK apartments till completion of project. “Demand for upmarket flats would remain high. Realtor Mukesh Goyal, who launched 4BHK scheme, for about INR 2 crore per unit at existing market rates, in Prahaladnagar around a year ago has already sold 80 per cents flats. Godrej Properties Stands Big, but Weak Demand is a Concern. Big Realters Moving Towards Small Cities. NEW DELHI: Growing demand for homes in smaller cities of the country is attracting real estate biggies. Cities like Bhopal, Bhubaneswar, Coimbatore, Indore, Jaipur, Lucknow , Nagpur, Surat , Vadodara and Visakhapatnam are estimated to add 354 million sq ft of residential development in the coming 03 years. According to a research, large builders like DLF , Unitech , Parsvnath , Omaxe , Ansals and Emaar MGF have already diversified into these cities. These cities today show huge potential for growth. These cities are attracting the big developers because of their considerable price stability and growth prospects. With economic activity picking up in these cities, there is a growing migration from smaller areas, which has created a shift towards an apartment culture. This shift will foster volumes for larger developers in the future. NEW DELHI/MUMBAI: A 25 basis point rise in key interest rates by the RBI on Thursday is likely to further squeeze home sales across the country, some developers and bankers said in the midst of increase in bank rates. Customers will now have to reconsider the size and locations of houses they wish to purchase and many buyers are expected to put off their purchases altogether till home prices come down and rates stabilise. This is certainly bad news for existing home loan consumers as banks will certainly increase home loan rates. As property prices exceeds the 2008 peak levels, realty experts believe that a correction is possible in the next couple of quarters, especially in cities like Delhi and Mumbai where prices have grown up fast. This offers an opportunity to real estate investors to gain profits. A Navi Mumbai-based marketing executive, Parvinder Singh Sidhu, agrees. Five years ago, he had bought a second home of 750-sq-ft flat at Belapur in Navi Mumbai for about Inr13 lakh. At present, the price of the flat is Inr35-40 lakh. However, with the talk of correction in the Mumbai property market, Sidhu is planning to sell this house and earn profits now. “I have a house to stay, so I can think of selling this one. If property rates come down in the future, I could buy a similar property at a lower price,” he says. According to a report, the upward price sentiment would continue as the prices on average are hiking up by 15%. The South Delhi locality Sarita Vihar’s PSF prices rise by 27.60% at INR 8,110 as compared to Inr6,356 in the period of 2010-11, while north Delhi-based Rohini’s PSF prices increased by 25%. This is followed by Patparganj at a PSF price appreciation of 21.68%. Other localities like southwest Delhi-based Dwarka sub city’s PSF price also increased by 28 % in sector-11 and sector-2. 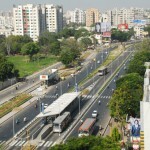 Realty prices in suburban NCR like Noida and Gurgaon also increased because of metro rail services came into operation. Prices per square feet in sector 110 and sector 93 of Noida also moved up by 16 % and 11 % respectively, as compared to prices in the corresponding period of last financial year. “Gurgaon witnessed an upgoing trend in property prices. Properties located on the Sohna Road and DLF City phase IV have seen the highest growth in prices by 46 % and 42 %, respectively, in Q1-11 over Q1-10”. While posh residential complexes and retail flashiness have seen the public imagination, old decaying buildings in the country are on a retrofitting pitch. Central business districts are gradually losing their gleam because of their inability to offer A – Grade buildings at competitive rates, and re-fitting, which involves raising of the economic status of existing old buildings, is emerging as the preferred option. As part of normal business process we endlessly review our possessions including real estate to unlock business value from idle assets. We have aptly renovated our former head office at Churchgate, Mumbai and are exploring various options for realising optimal business value from this property. Demand for offices in CBD areas, real estaters claim, carry on to be high for various reasons like limited supply of new office space, established business ecosystems, accessibility to services, and well connected infrastructure and a prestigious address. Director Investment, Amber Maheshwari said,”Due to which rentals that had hollowed 20 percent during the recession have already inched up by 5-10 percent in the first half of this year”. Though CBDs havelot of potential to re-fit their existing old stock, it is not always a profitable proposals as the builders rarely break-even the expenses incurred. NEW DELHI: Multinational retailers namely Walmart , Carrefour and Tesco may soon be allowed to open stores in India subject to inflexible investment norms, sourcing conditions, and cap on number of outlets in large cities. The Department of Industrial Policy and Promotion, or Dipp, is likely to move a proposal seeking cabinet’s consent for 51% FDI in multibrand retail subject to an investment of atleast $100 million. Babus Turn Out to be Clever Investors. Any senior bureaucrat on Central deputation owns a plot or flat or house in Greater Noida. It is also a favourite destination for babus of AGMUT cadre, who are usually posted in Delhi at some point of their careers. Several officers, irrespective of their ranks, own several properties. However, there are certain exceptions among senior officials, whose returns show that neither they nor their spouses own any property. Many officers have not filled in the column on current market value on the plea that they have not determined it. There are some statements, which show suspect at first glance.